Greg is a member of the Toronto Advisory Board since 2010. 1- Greg, what has been your involvement with Canada’s Great Kitchen Party? In 2007, my wife and I traveled to Italy on our first trip with Canada’s Great Kitchen Party (formerly, Gold Medal Plates) having heard about the organization through friends. While I understood that they did dinner events throughout Canada, I didn’t know much more about the organization other than the fact that they also planned these great trips around the world with Canadian Olympic athletes and Canadian musicians. While the trip itself was fantastic, what it did do was introduce us to a great community of like-minded Canadians who were passionate about their country and wanted to express this through support for our Canadian Olympians. When my wife and I returned from the trip, I immediately volunteered to be part of the Toronto Organizational committee and have been proudly working with the group ever since. 2- In June you just cycled across the Rockies – over 1,001 km! – to raise funds for the Canadian Olympic Foundation in association with Canada’s Great Kitchen Party. Can you tell us about this adventure? Historically, the organization has raised funds for Canadian Olympians by hosting the Canadian Culinary Championships – competitions for the best regional chefs across Canada and then culminating with a National Championship held in Kelowna each year. In addition to the regional dinners, Canada’s Great Kitchen Party also offers people the opportunity to go on once-in-a-lifetime trips around the world to fantastic venues and locales, along with Olympic medalists and popular Canadian recording artists. 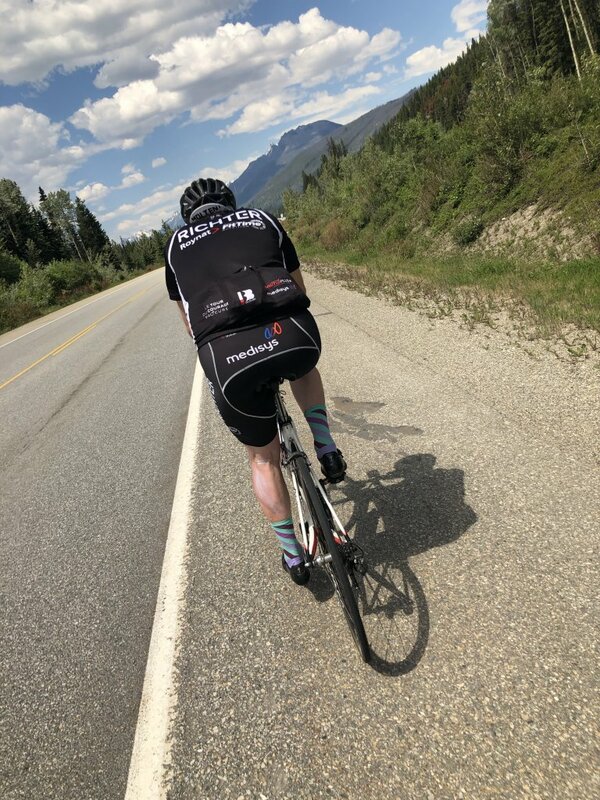 But in 2017, Curt Harnett (3 time Olympic medalist in Track cycling and Chef de Misson for Canada’s Pan American and Olympic teams) approached me with an idea to cross the Canadian Rockies to raise funds directly our next generation of Canadian athletes. 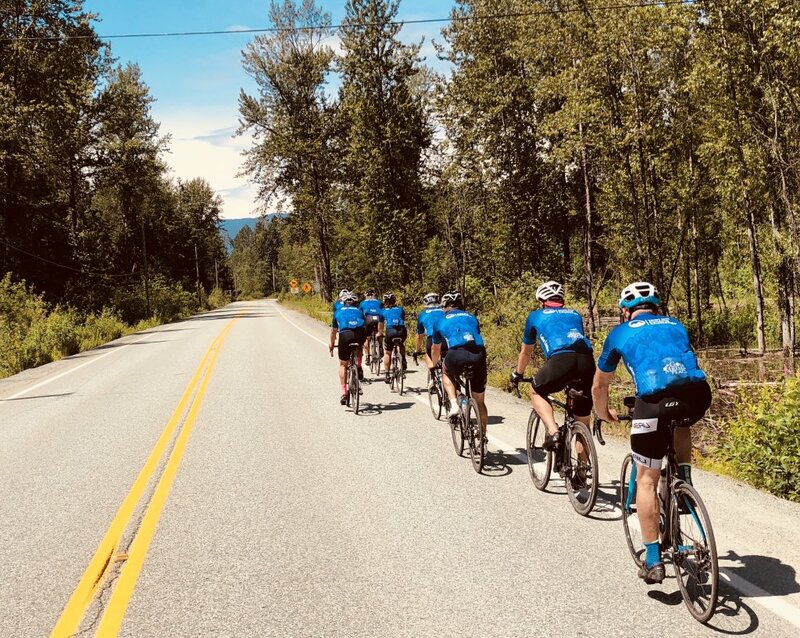 As opposed to going on a luxurious trip, the idea was to gather together a group of 30 riders from across Canada who would underwrite the costs of the trip directly and to then pledge to raise funds for the Canadian Olympic Foundation. In total we would ride over 1,000 kms and climb 36,000 in 7 days. He only needed to ask me once! While I knew that such a trip would require lots of training and hard work, I knew that it would be a great adventure for a great cause. Thanks to my friends, family, work colleagues, and other riders, we raised over $250,000! And this was matched by the Government of Canada for a total of $500,000 for the Canadian Olympic Foundation. 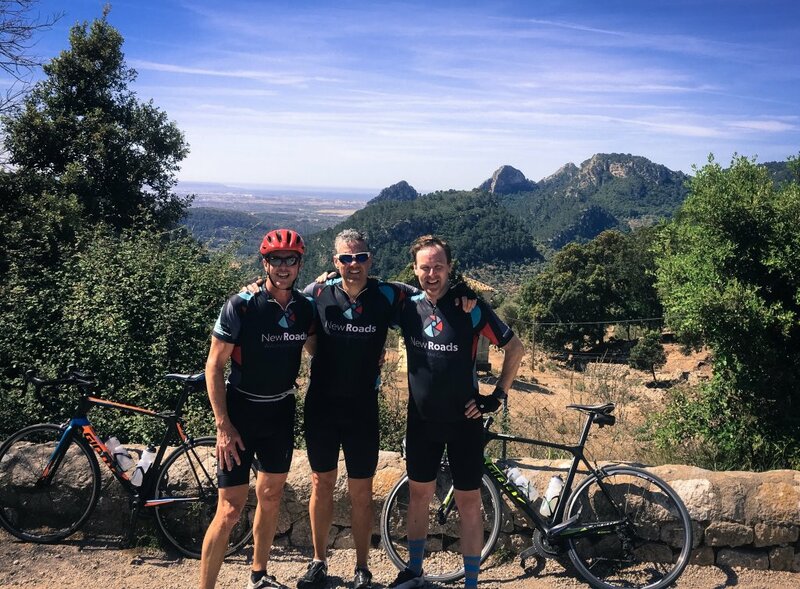 What was perhaps most inspiring of all about our ride was not the spectacular scenery – although it was pretty spectacular! – it was the commitment of each of the other riders on the trip. Not everyone was an Olympic hopeful! But each arrived in the best shape of their lives and committed each and every day to get the ride done. It was a testament to our collective belief in what we were supporting and our love for everything Canadian! 3- What pushed you to engage yourself with the organization initially? I am a very patriotic individual – I love what our country represents and always take pride in how we perform on the world stage. What spoke to me about Canada’s Great Kitchen Party was the fact that at its core it stood for Canadian excellence, whether that was through food, drink, music or athletics. And through the knowledge that by supporting the organization, much needed funds went directly to athletes who just don’t get the same level of financial support as other athletes around the world. It’s amazing the level of sacrifice that our aspiring athletes make to get onto the world stage. Giving them that added level of financial support may be all that it takes to get them onto the podium. 4- Any exciting events coming up at Canada’s Great Kitchen Party? Yes! After 12 years of celebrating Canadian excellence in food, wine, music and athletic excellence, Gold Medal Plates has rebranded itself as Canada’s Greatest Kitchen Party and will be pursuing a new path independent of the Canadian Olympic Foundation. Over the past 12 years almost $15 million was raised for Canadian Olympians by Gold Medal Plates, but under the new brand Canada’s Greatest Kitchen Party is excited to broaden its impact on communities across the country. Its mission will be to support Canada’s future leaders through a platform that will showcase and celebrate Canada’s culture of sports, music and culinary excellence. Funds raised will go to support initiatives across these three pillars: Canadian amateur athletes will receive support through B2ten, an organization that provides optimal training and preparation services to elite amateur athletes; MusiCounts, one of Canada’s leading music education charities that seeks to put musical instruments into the hands of children that need them most; and Community Food Centres Canada who, along with their affiliate food organizations, offer high-impact food programs that bring people together to grow, cook, share, and advocate for good food for all. 5- What have you learned from your involvement? What I have learned most about my involvement in all the charities that I have supported over the years, is how many great organizations are out there doing really special things in our communities and how much they need the help and support of all of us. But charities don’t just do good things in our communities, they do great things for the people who support and volunteer for them – building a sense of belonging and purpose. Bringing people together, regardless of the cause, is so important when we have so many things that seem to push us apart. It’s great to find a way to share common values and purpose over things that make a positive impact. Accomplished, driven, yet known for his kindness, Greg has big ideas that match the scope of his ambition. A great people connector he loves to build durable, effective business relationships. His enthusiastic nature means that he is ready to jump whole-heartedly into every project he takes on. Click to read more. Théâtre de la Manufacture / La Licorne.